Tiger Woods won the 2000 PGA Championship at the Valhalla Golf Club in Louisville (KY) by out-dueling Bob May. Both had finished a remarkable final round at 18-under-par 270 (a new scoring record), but it was Woods who prevailed by one stroke following an exciting three-hole playoff. 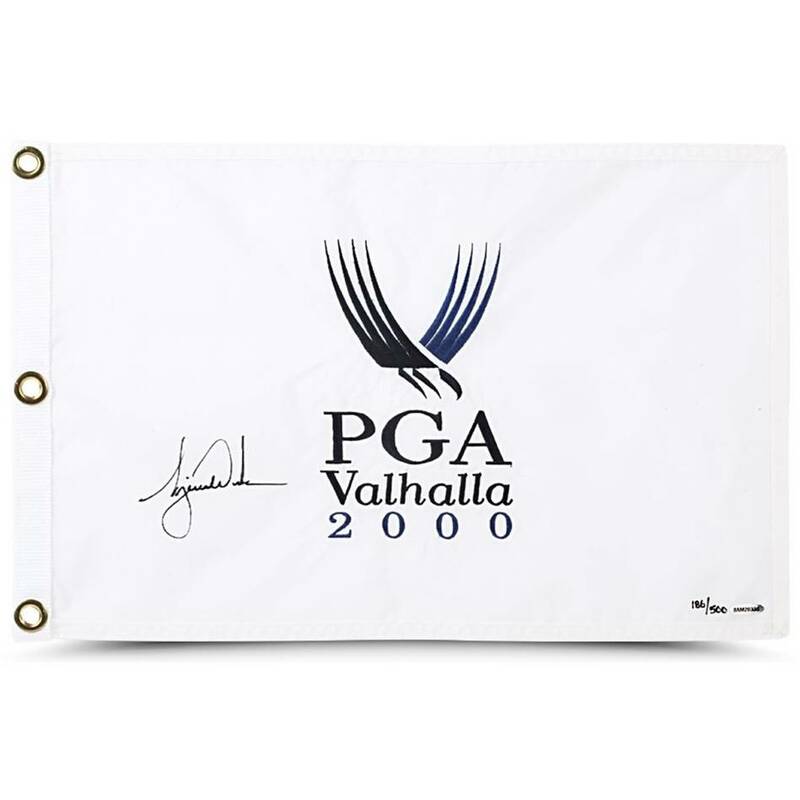 Now collectors can better appreciate Tigers perseverance via this limited edition (500) hand signed pin flag from the 2000 PGA Championship.